Valle Europa: Little Germany ? 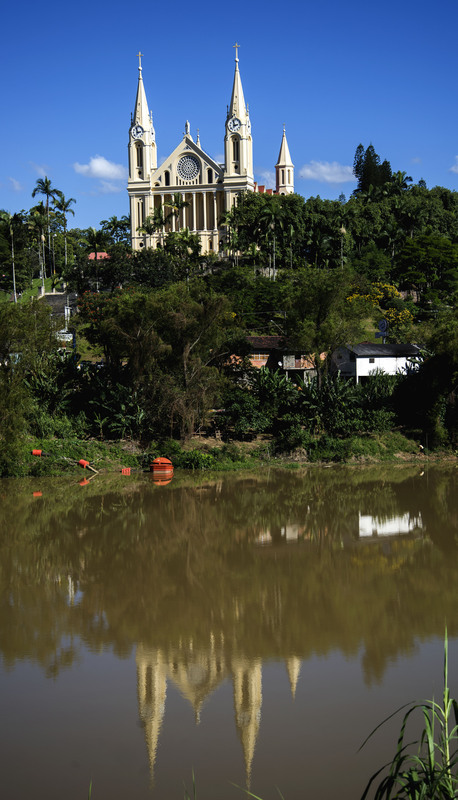 We left the little Ihla de Sao Francisco and headed slightly inland to a rich fertile valley called Valle Europa. 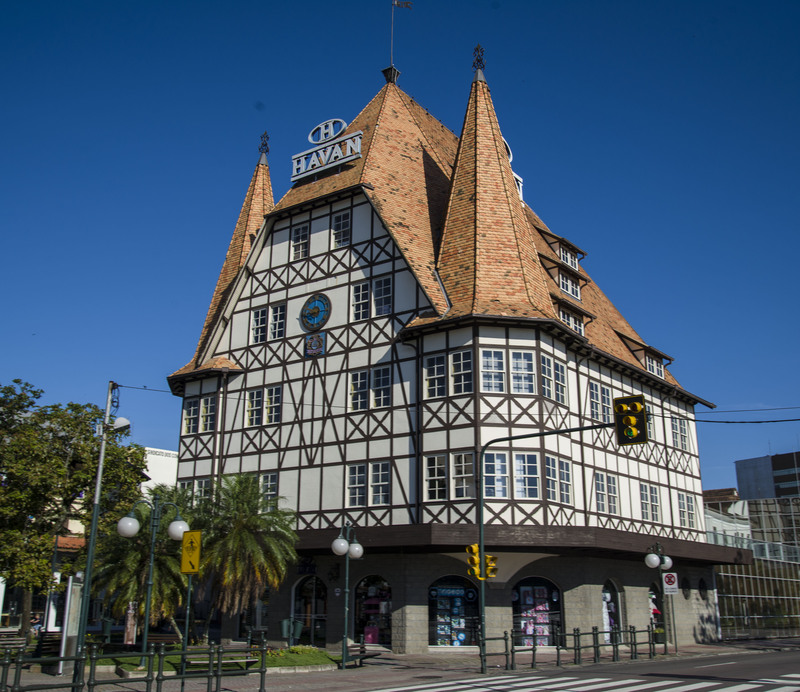 This region of Brasil was settled by German immigrants in the 19th century after immigration to the USA became more difficult and consequently has a distinct German character, with German as likely to be heard on the streets as Portugese. In fact as late as the 1920’s 70% of the population of the region still spoke German as their first language. 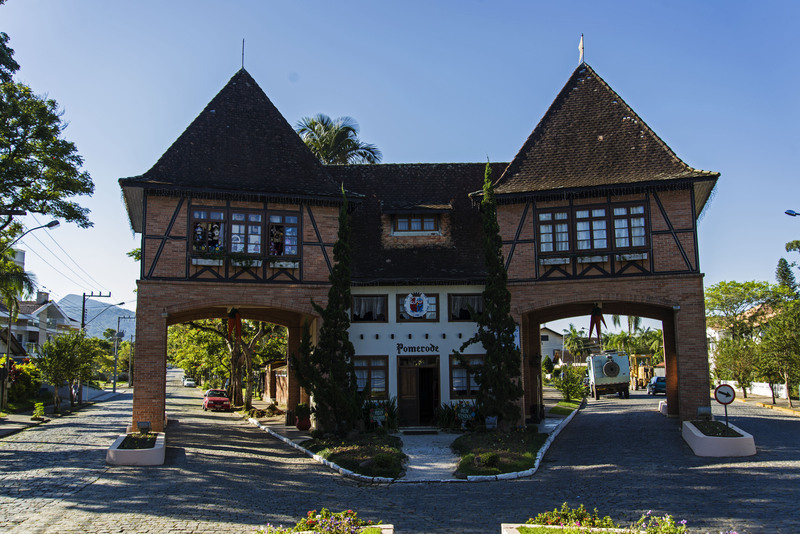 We first visited the small town of Pomerode which is considered the most German town in Brasil. It’s a quiet little town with not too much to recommend it. It seems prosperous but most of the buildings are fairly recent. 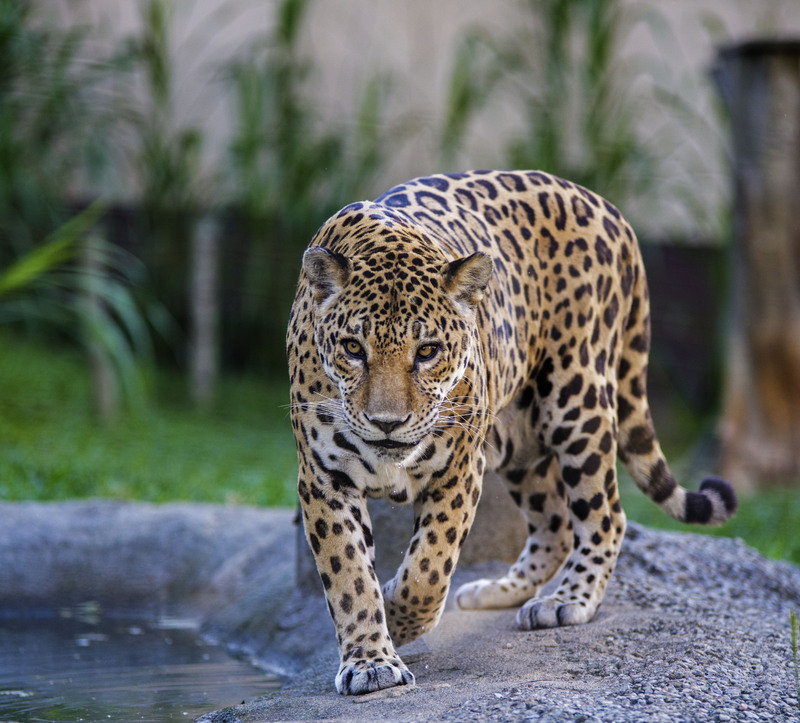 We visited the Pomerode zoo which had a good selection of animals in fairly good conditions. The highlight of our visit to Pomerode though was our visit to a traditional German restaurant. This was an absolutely excellent meal at the restaurant Wunderwald. The food was German but with a Brasilian influence. 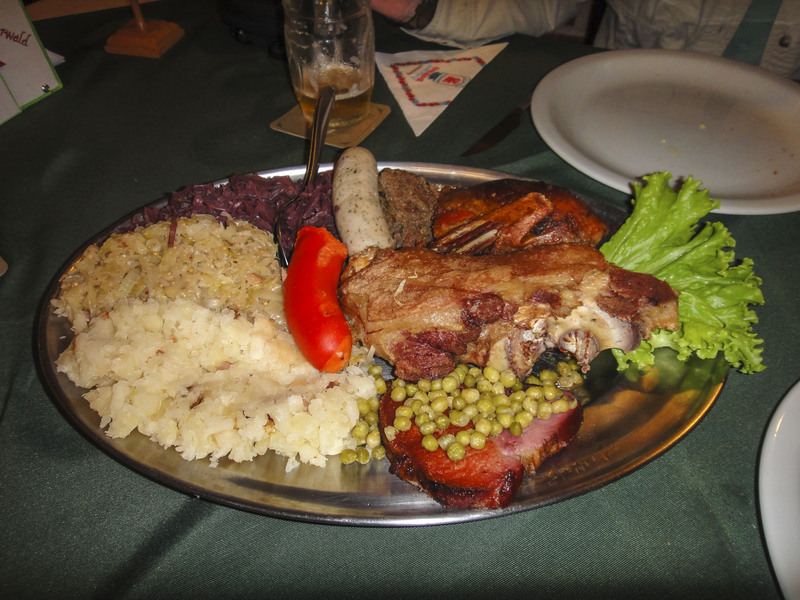 Our meal was a big platter to share of Duck, Ham Hock, sausages, gammon, sauerkraut, red cabbage, cassava and a whole bunch of sauces coupled with some local brewed German beer which was also excellent. Communicating with the waitress was interesting but we managed in a mix of Spanish, German, English and even a few words of Portuguese from our phrasebook. 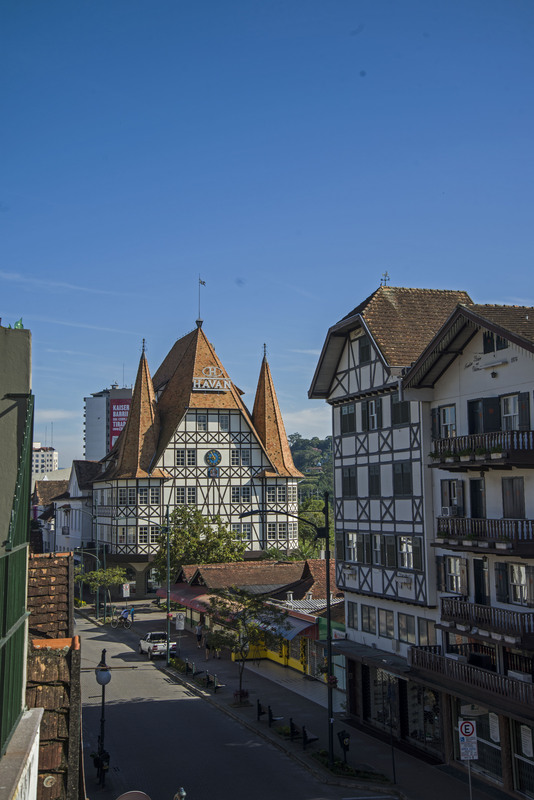 In the morning we drove into the biggest town in the Valle Europa, Blumenau. It was Sunday so the traffic wasn’t too bad and we managed to find somewhere to park right in the middle of town. 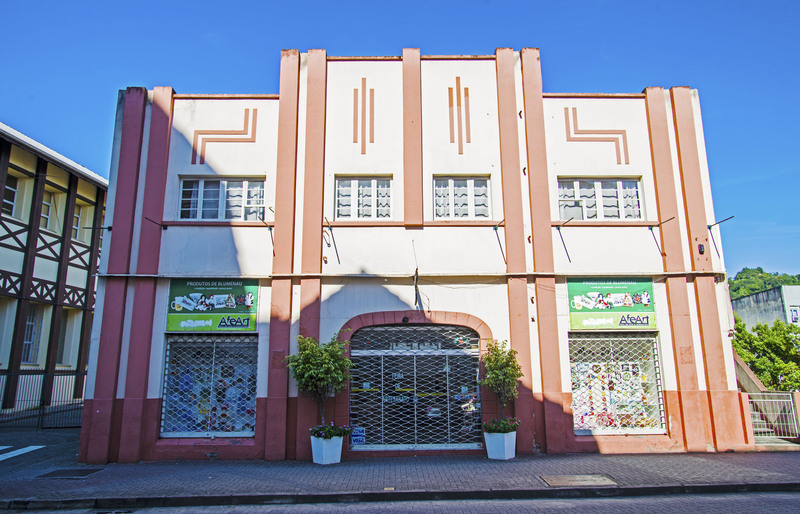 This allowed us to explore the centre with its odd mix of European/German architecture and Art Deco. It is however a slightly Disneyland version of Germany ! The Valle Europa is a very pleasant area that deserved more time than we gave it. Suprisingly although not very high it was a few degrees cooler than the coast and gave us a very enjoyable night’s rest. So, are you planning to head right up through Brazil? Watch out for the small bridges! I’d love to know your intended route, there are friends of ours planning to go via brazil to Peru late this year in a Mercedes 4×4 truck. We are just doing a loop around the south of brasil to end up in the north of Uruguay. We are shipping our truck home from Montevideo. Unfortunately after 2 years we have to go home now.